Few other notes.... River Phoenix dies at age 23, it's Halloween, and I'd Do Anything For Love (But I Won't Do That) by Meat Loaf was the number one song in the UK. I read a bunch of the Goosebumps series in the 90's. This is one of the original releases and not the updated cover ones. I will post a few of these in this new segment. I was always a fan of living dolls I guess you could say. Puppet Master, Child's Play and Slappy. These are the opposite of dummies. These are some of the most dominant players of the 90's. 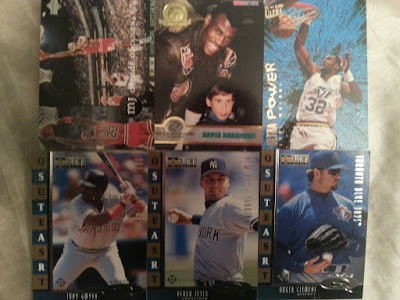 The cards featured in today's post I acquired from eBay and from my buddy Tim Yount. I know I could have gone either way with the dummy part of this, but I decided to keep it positive. However, if you were to choose a dummy of the 90's, who would that be? This can be a celeb, sports player, team, etc. 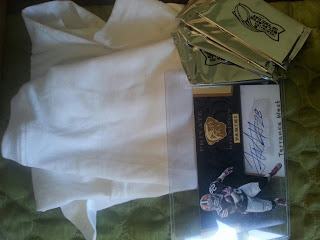 Here are the available prizes for the Player Of The Day Kids Promo I have going on. Each kid can pick ONE item (there are 4 sections of 2 packs a piece of POD. Each 2 packs counts for ONE item) from this post once the random has been made and the order has been set. Bonus cards not shown may be included for those cards not packed up yet. Which ones those are, I will keep as a secret as it will make it more fun that way. 0 Right Now As Contest Just Began. If more kids than what I have for prizes above enter, I will add even more!!!! I have pretty high hopes for this contest. CONTEST ALERT!!!! Player Of The Day Contest FINALE! All About The Kids WINNING! 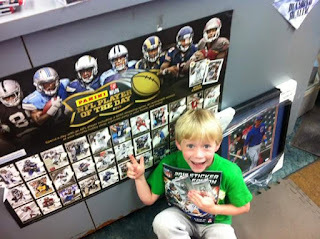 Kids are the future of the hobby so I try to include them in as many contests as I can. This one is probably one of my best ideas for them yet. In my opinion, any kid in the hobby is win. So I have decided any kid in my contest is a winner. The rules and entry are simple. As always the only rule, contest is open to U.S. Residents ONLY. Shipping costs are crazy. Sorry for this inconvenience. Anyone who doesn't follow this rule will be disqualified from prizes. 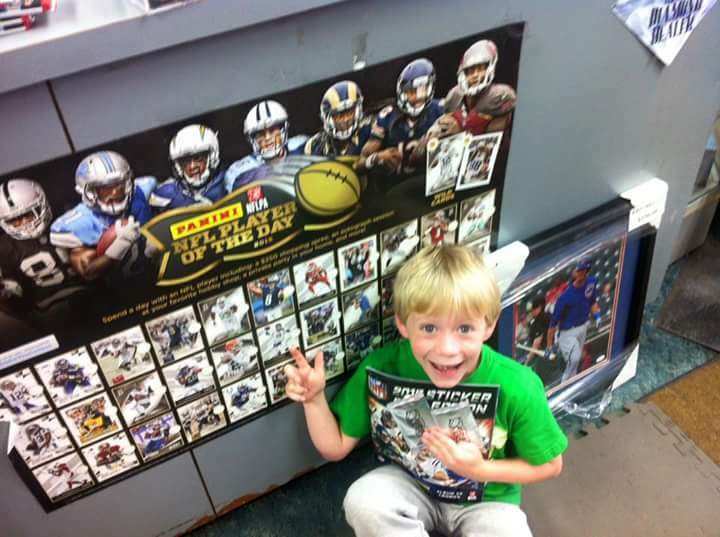 Send a CREATIVE pic of your child or children or a child enjoying Panini cards (seeing some Player Of The Day ones would be great). You may also include a sign that involves Player Of The Day. PLEASE ALSO INCLUDE A NAME YOU WOULD LIKE FOR YOUR PICTURE OR FOR THE CHILD for me to use in my post and winner announcement. You will have til November 6th 2015 to get the pictures to me. Kids will be randomed on November 7th for prize choosing order. 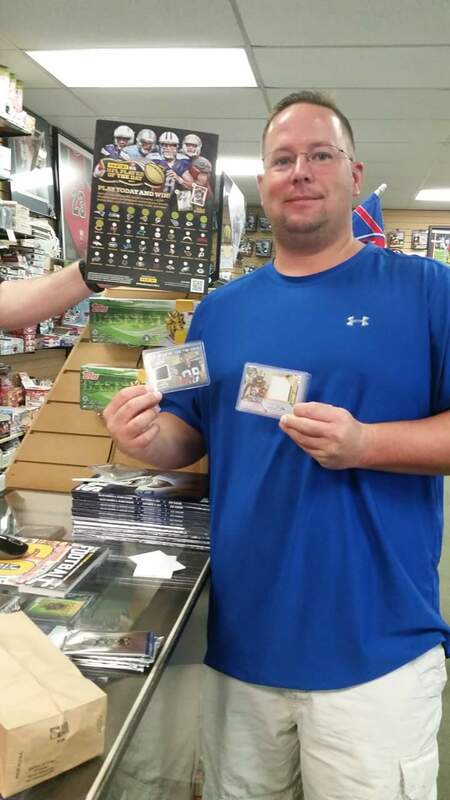 Prizes will be done Panini Rewards style! Meaning, kids get to choose their prize from a list of them in order of where they fall on a list. Kids will be randomed for prize choosing. The kid up to the top of the list is first choice, last on the list get what remains from the prize choices. The more kids that enter, the more choices. PRIZES CAN BE FOUND HERE. I always need to throw in this small print due to scams in the past with people claiming prizes never arrived.Prizes will be shipped PWE. Sport Card Collectors blog or it's writer/owner WILL NOT BE held responsible for LOST, STOLEN OR DAMAGED cards. 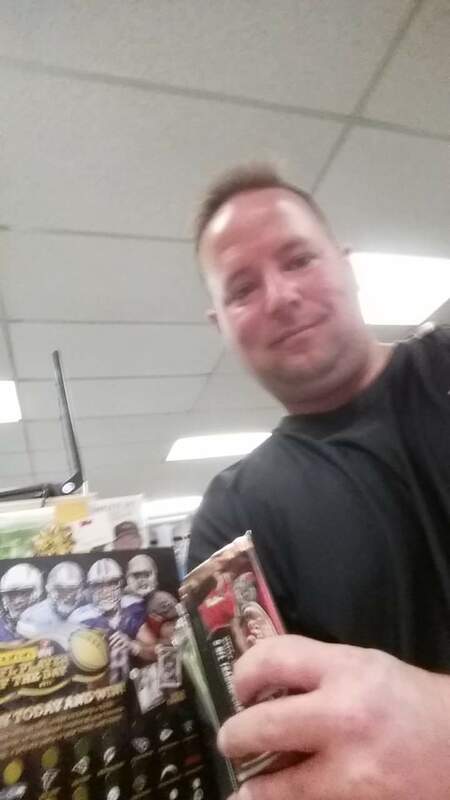 I will ship as safe as I can, then it's up to USPS to get the cards to you safely. Once entered you agree to all rules above. In years past for the kids contest I usually have Panini vote on the pictures. This year I wanted to simplify it and let everyone win something instead of only three. Good luck to everyone that enters and I really hope to see a HUGE turnout on this one! Which fall TV shows would you like to see trading cards made of? Why? Have You Seen The Up-To-Date Stats? Here are my main PC's and how they are broken down. 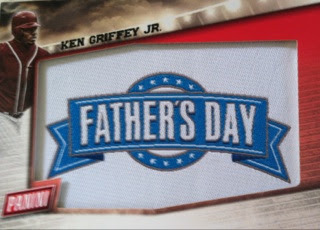 I know recently I have posted about my 100th Hampton and 700th Griffey and I must say those are not accurate. Those are older posts that I am just catching up with. This post is currently as fresh as can be. In the meantime, here is where I stand as of 10/29/2015. My last pickup from the yard sale was an autograph I have always wanted since his days with the Yankees. 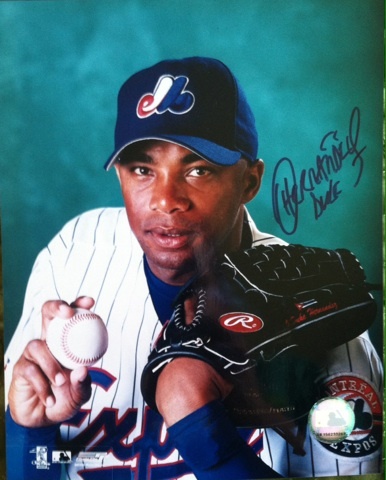 Mr Orlando Hernandez or as the rest of us Yankee fans know his as, El Duque. The dude was dominant and when he got that high leg kick going, you know hitters were in fear. 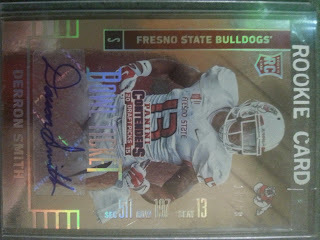 Even though he wasn't the top player in the group of autographs I picked up, this was my favorite piece. First up, I like the photo. Great pose and even though not a Yankee uni, you gotta love the classic Expos look. 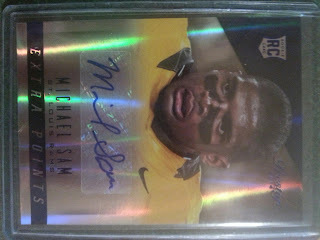 Secondly, he has a great looking auto. Third, I got it for $5. A steal in my opinion. Now that you have seen all five of my pickups, which one is your favorite and which one did you consider to be a steal? 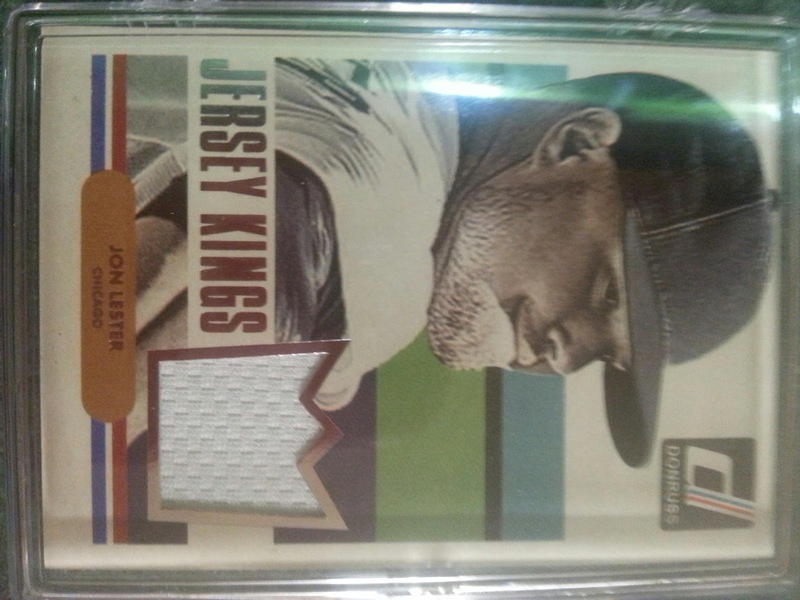 I have long since passed the 700 cards threshold of my Ken Griffey Jr PC, but what I didn't do was post my 700th card that I had to make sure was an important one. And boy in my mind did I make it a sweet purchase. 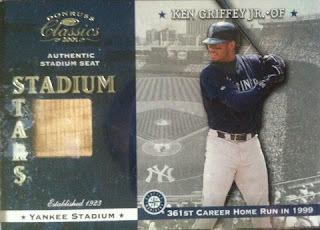 Not only was it a Griffey card, but it's a piece of Yankee history as well. Griffey hit his 361st career home run at Yankee Stadium in 1999 and on this card is a stadium seat to commemorate it. I always struggled when Griffey played my team as picking a side could be challenging. 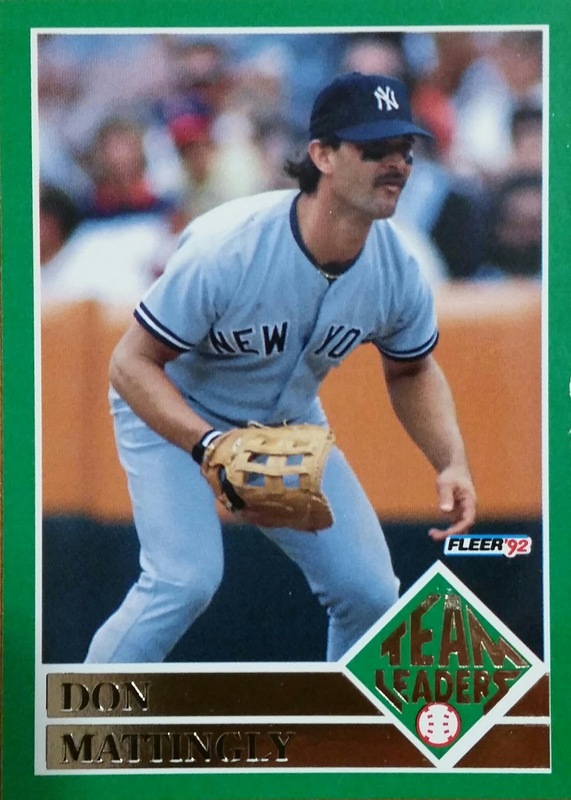 I usually went with, "let Ken hit multiple home runs but give the Yanks the win." Only way I could see the best of both worlds. 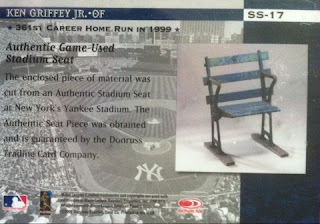 Here is a picture of the seat they used. So cool! Wished companies did this still. I am already looking forward to trying to search something cool down for card #800. It most likely won't be an autographed card, but I promise it will keep your interest and mine. I have long since passed the 100 cards threshold of my Rodney Hampton PC, but what I didn't do was post my 100th card that I had to make sure was an important one. So here it was, card #100. 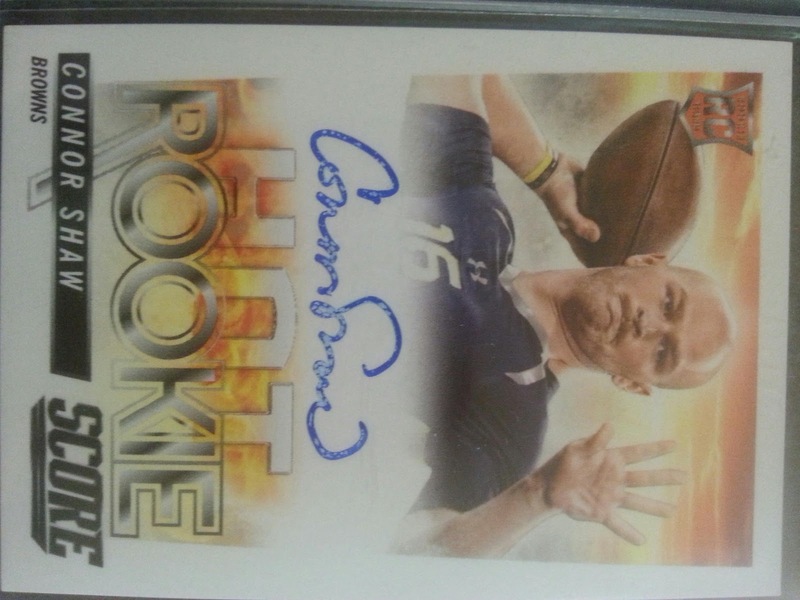 A 2013 Topps Archives Fan Favorites autograph. 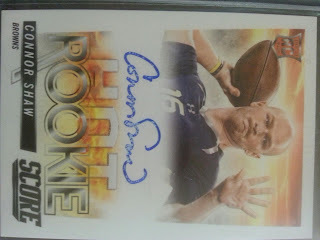 This also marks my third autograph of Hampton. The next goal is trying to figure out how to top this with card number 200? Hmmmmmm let me ponder....or take suggestions. What do you guys think? CONTEST! ANOTHER CHANCE To Win 2 Player Of The Day Packs! Well, I had such a good response on the last round of Player Of The Day packs that I want to give away a couple more! So if you didn't win the first time or wanna win again, here is the contest! Must be a U.S. Resident or have a U.S. address to enter. All entries not following under this rule will be disqualified. 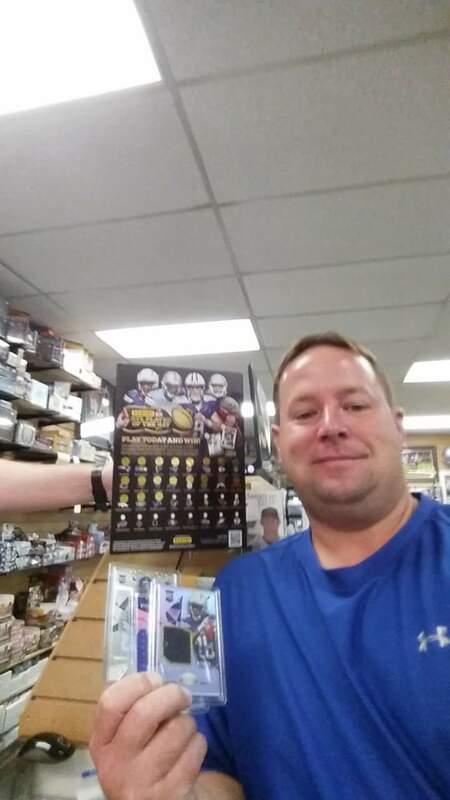 Go to the Panini Player Of The Day website you can find HERE, click on the link with the story with the title, Check out the story of 2013 Panini NFLPOD Grand Prize winner Aaron Kellington who is now a hobby shop owner thanks to NFLPOD and give your thoughts about this in the comments below. As simple as that! Contest ends on November 1st 2015 by 11:59pm and a winner will be announced on November 2nd 2015. 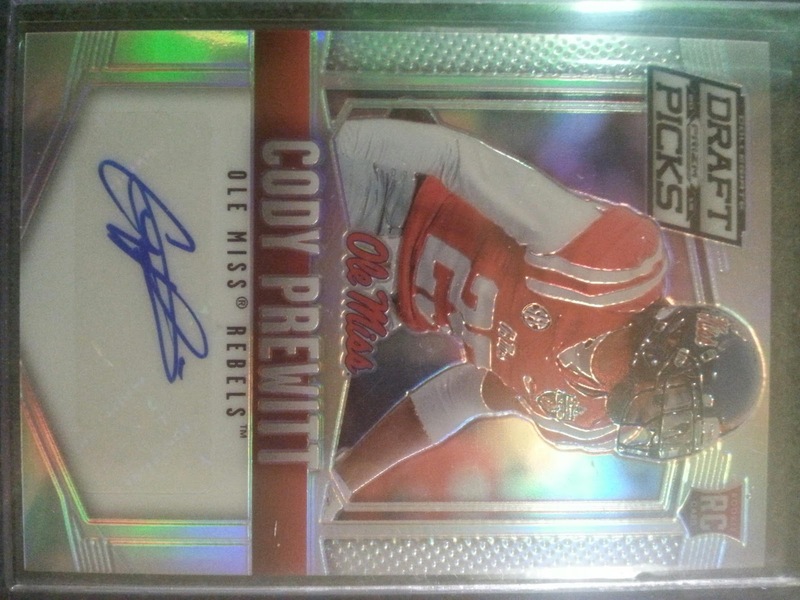 1 random winner will be selected from all entries. Prizes are provided by Panini and Panini POD. Good Luck and may the 7x Random ever be in your favor! The joy of Mystery Finest. 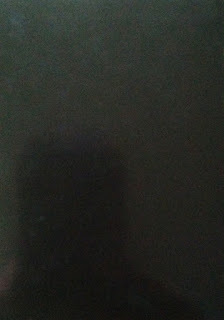 Who is that player hiding behind this sheet of black? 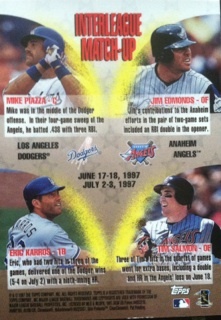 Is the best player featured on out of the four on the back of the card or the worse? 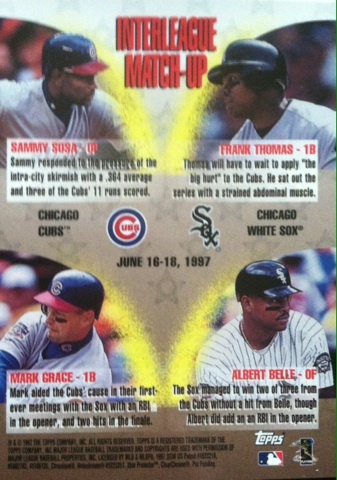 The only way to tell is to peel and here on Baseball Card Mystery Finest Theater I will do just that. 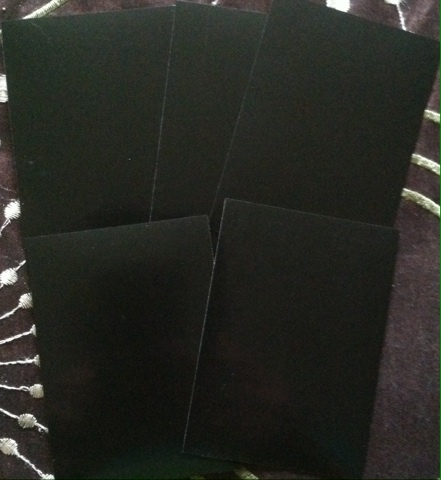 Recently, I picked up a five card unpeeled lot of Mystery Finest cards on eBay for less than $10. I thought it would make a fun series to unpeel them one at a time and have you guys join in on the fun. I want you guys to tell me for fun which player I will unpeel. A few days later, I will unpeel it and reveal who it was on the blog to see if you are right. I hope there will be a lot of participation as I think it will be fun to see your guesses. Make sure you come back for your guesses and each unveil! 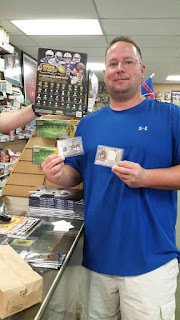 WINNER Of The Two Player Of The Day Packs! 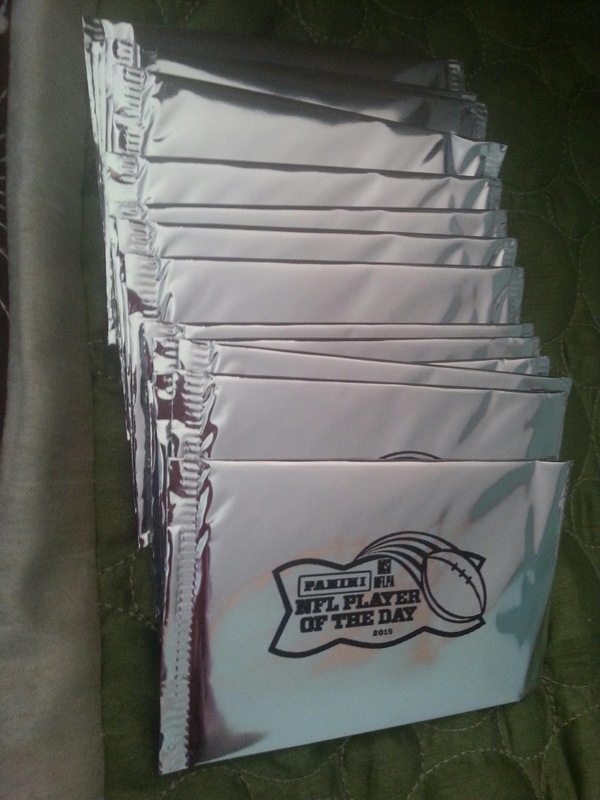 In the first round of giving away a couple Player Of The Day packs, yes, I said first round, we had 20 entries and over 300+ views on the contest. I also appreciate all of you who took a second out to vote for your favorite segment here on the blog and for the key words you gave on Player Of The Day. Congrats goes out to @JGfan24ever!! 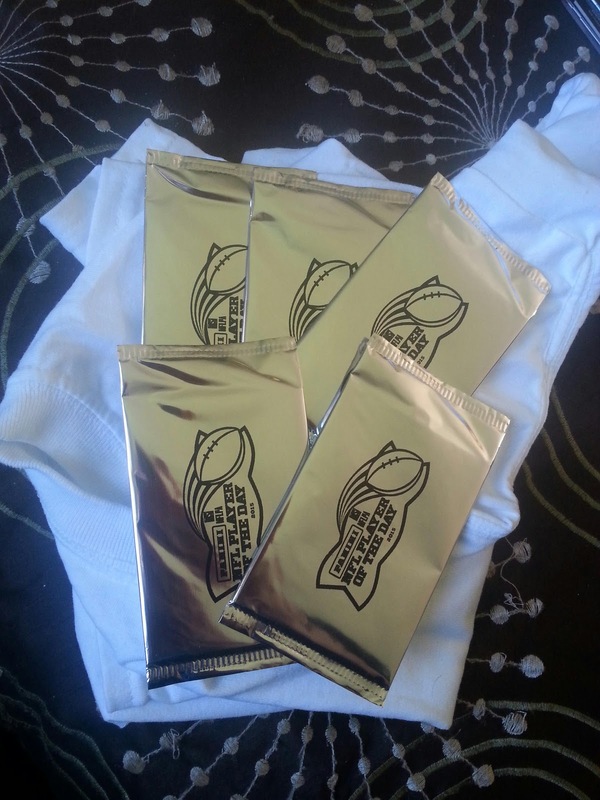 Please email me your address to sportcardcollectors@hotmail.com with the subject line POD Packs. You will have 7 days from today to claim your prize. 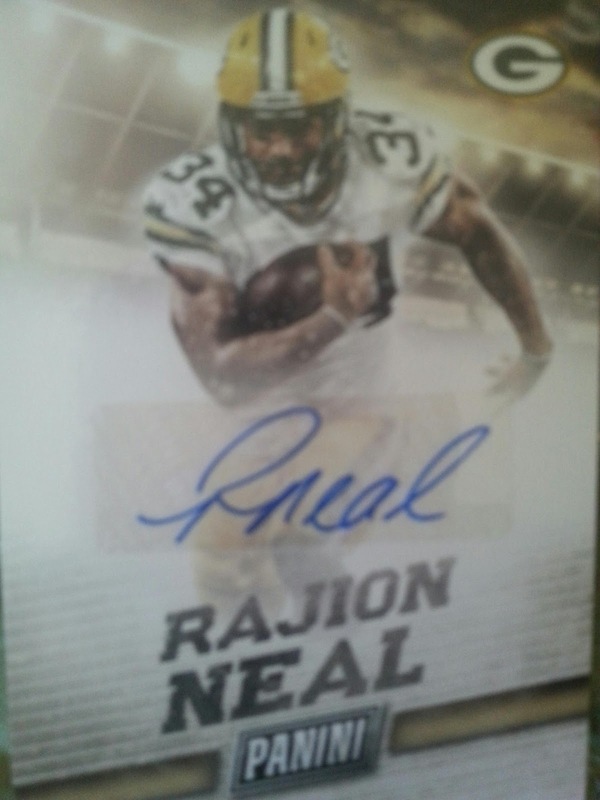 As for the rest of you, stay tuned as I have another chance coming up to WIN more packs! 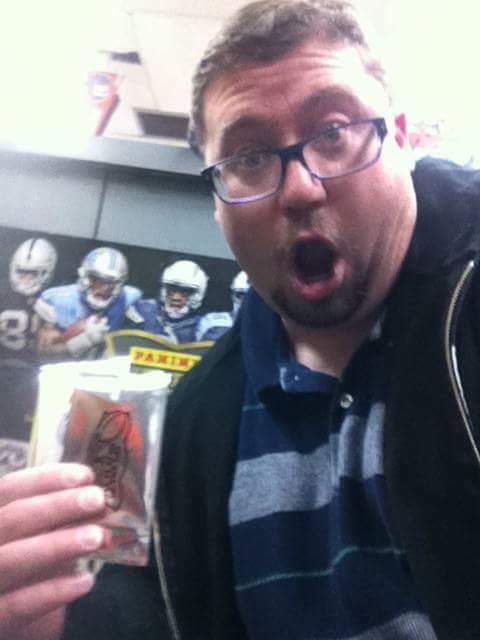 If the Giants win today over the Cowboys those chances get even better! So in the meantime, go ahead and enter this contest. 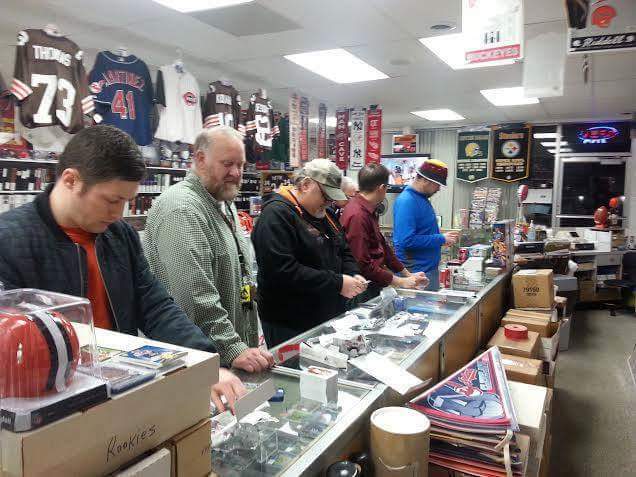 Everyone who enters this one doesn't go home empty handed as everyone WILL win something! Time for Part 6! The 5th battle pinned 1994 Flair against 2013-2014 Flair basketball and it was a close race with Flair sneaking out with the one point victory! Let's see if Flair can take it home three times in a row. World Series Finalists And Contest Announced! Now that the stage is set for the World Series between the Royals and Mets, let's take a look at who remains in the running for prizes in my World Series Contest I took entries for in March. The bowl cut kidMarch 22, 2015 at 3:20 PM. Now onto how to win it all. 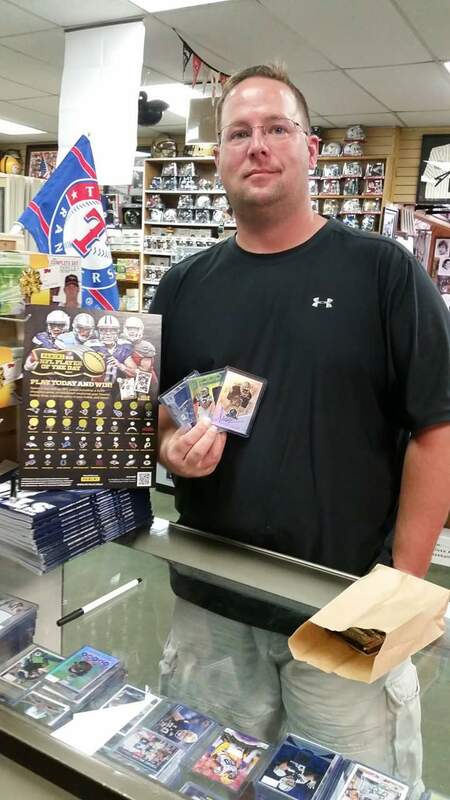 It's simple, the player who hits the most Home Runs in the Series wins the prize lot! If there is a tie, the person who has the player on the winning World Series team wins. If that doesn't work, an all out random on random.org will be ran. Good luck to those who remain. Welcome! I have been waiting on this new series for months!!! 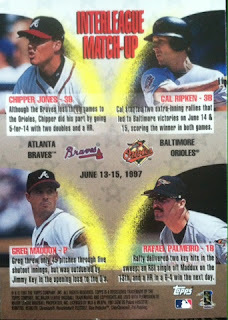 Everyone knows my love of the 90's and now I get to share that passion on here and take you back a little. I get the year from the toy and the day the post is published. The cards I could have done by the year of the toy, but I decided to use the theme of the toy instead due to the fact a lot of the featured toys will be early 90's and I prefer a good mix.I must also note that not all will specifically be "toys"but will be items of remembrance as well, hence the theme. I hope you guys enjoy reading these as much as I do posting them! This is an incomplete piece that I recently found for FREE at a Yard Sale. She is missing her tail and accessories. Still a classic to this TMNT fan. 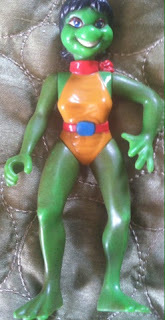 1992 Teenage Mutant Ninja Turtles Playmates Mona Lisa. Mona Lisa was mostly associated with Raphael on the TMNT cartoon. 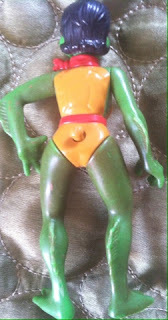 Speaking of Turtles, let's keep this theme green. These 1996 Pacific Gridiron Gems fit the bill. These over-sized cards all had a great photos with green foil that took up a third of the card. 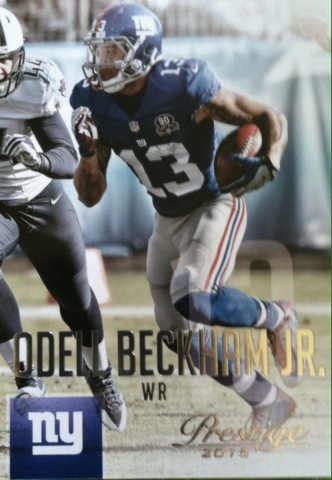 The sides of the card also appeared to be blurred out focusing on the "Gem" player on the card. I had a few of these kicking around, but these ones were acquired from my blogging buddy JBF. My favorite of the group, Kerry Collins. Always was a fan of his. 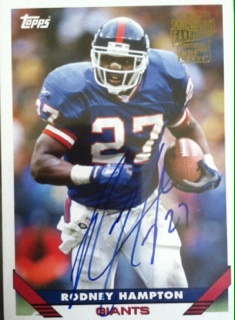 I was excited when he became a NY Giant later on. It was a sad day when Pacific no longer created cards. They always brought something great to the table but at least we have the 90's to reminisce about them. What memories do you have of 1992, TMNT or these Pacific trading cards? As you all know, I have been busy trying to catch up on older posts on here. By the end of this month, I will finally have that accomplished. However, tomorrow I decided it was time to throw something new into the rotation and it's something that I hope will be a Saturday post standby depending on the turnout in views on it. I have been waiting months on this one. 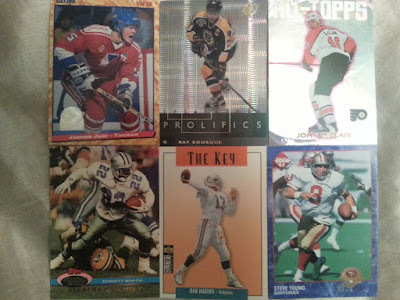 Tomorrow I would like you to welcome Reminiscing 90's to the Sport Card Collectors segment family. 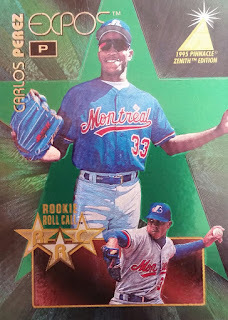 Since I recently switched away from posting 90's cards with my blog being so backed up with posts, I have been thinking of a way to add it back into the rotation. 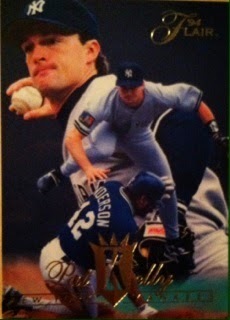 The once existed 90's Flashback needed a face lift so I thought maybe I should do more than just posting a card. 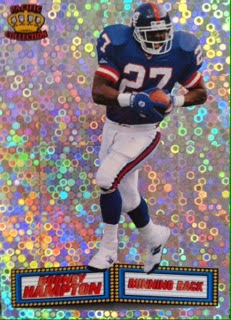 What if I added a non card item....some info on that year....a different theme of item and card....hmmmmmmm....that's how Reminiscing 90's was born. It's a combination of a little bit of everything from the 90's. So stay tuned for tomorrow, I know I am excited about this new segment and hope others will be as well to keep it in the rotation. As my saying goes, 90's fans and collectors should rejoice! 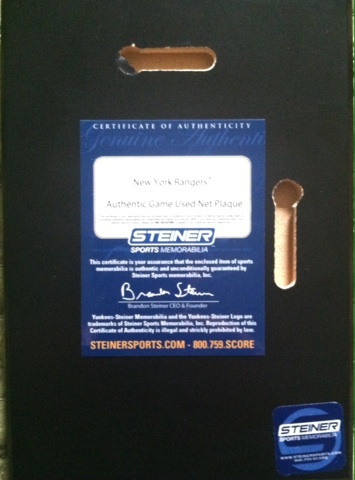 Part 2 of my Steiner Sports order gives us a NY Rangers piece. I don't really watch hockey anymore, haven't in years, but I do keep a close eye on the Rangers and still collect items (mostly cards) of them. One hockey item I have always wanted was game used net. 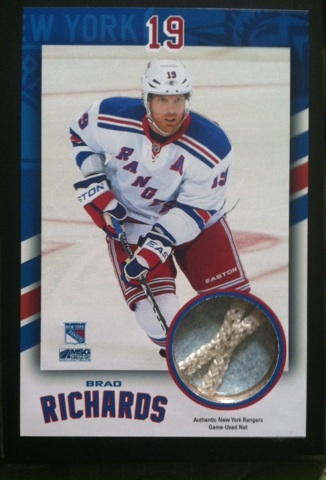 I always wanted to pull a hockey card with it but have been completely unsuccessful with that option. 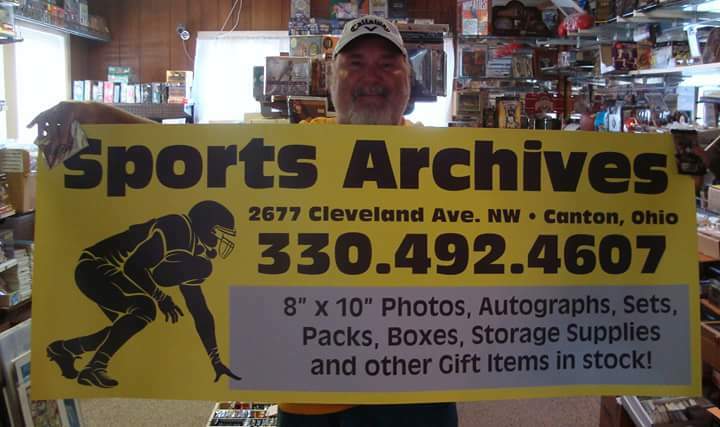 So when searching the Steiner Sports website and coming across this beautiful piece for $9.99, I couldn't turn it away. The netting has marks on it. Even cooler! 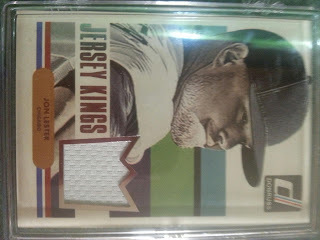 I was also thinking how great of a card this would make with the relic being in a shadowbox. Here is a certificate of authenticity from Steiner that was included on the plaque. For a free $25 gift card, I thought I scored pretty well. I think the main point of the gift card was to lure in new customers which to me was a brilliant idea. I was amazed by the amount of items they offer and some of those items were at very reasonable prices such as the two I picked up. They may have attracted me for future business. How many of you got in on this deal? 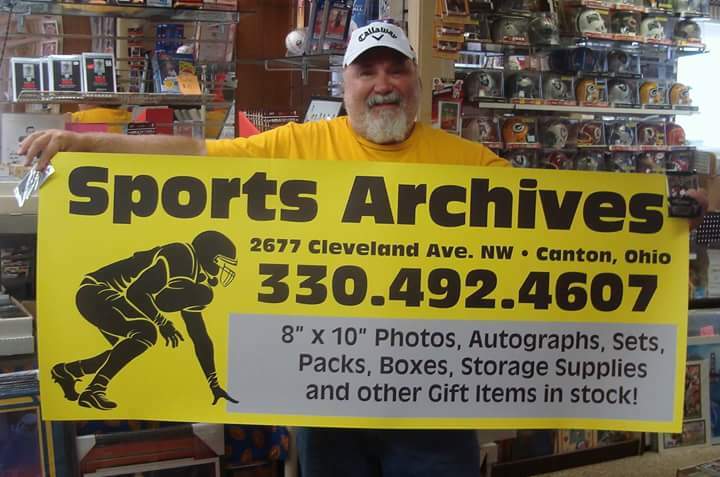 How many of you bought something from Steiner Sports before? What did you buy? Do you own anything with game used hockey net? As always, thoughts are welcomed on my mail days! 2015 Player Of The Day Shop Visits And How You Can Win!!! So far after a couple of weeks, I sadly only have three main prizes, three entrants, and each have two entries. 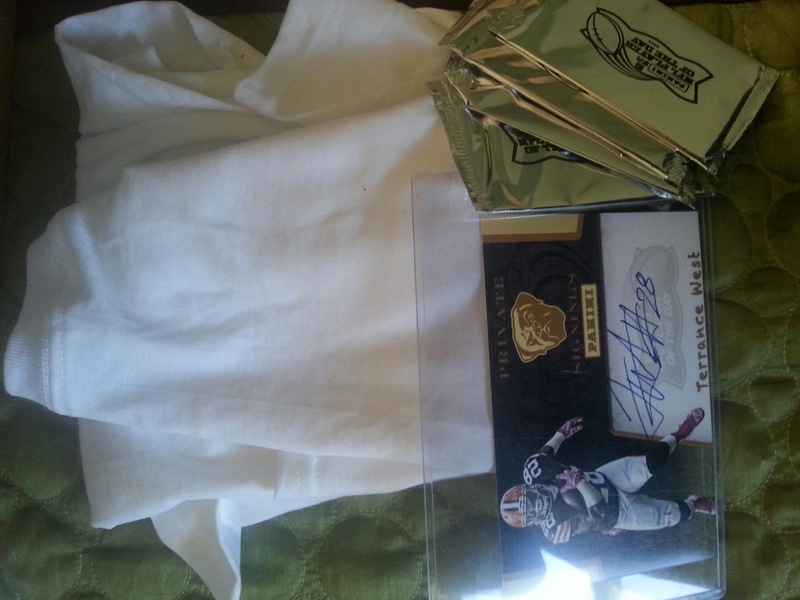 However, I have extra prizes to give away as well including jersey cards, autographs and POD packs for those who don't finish in the Top 3 spots. You also must remember that it only takes one entry to win the whole shebang! I have seen it before on here and you can't get that one chance IF YOU DON'T ENTER!! PLEASE NOTE THAT I AM EXTENDING THE DEADLINE ON THIS CONTEST FOR ALMOST ANOTHER WEEK!!!!!! The contest will now end on November 3rd 2015. Winners will be picked and announced on November 4h 2015 on here! How do you participate in this MAIN CONTEST? Well, here are the details. MUST BE A U.S. RESIDENT OR HAVE A U.S. ADDRESS TO ENTER. 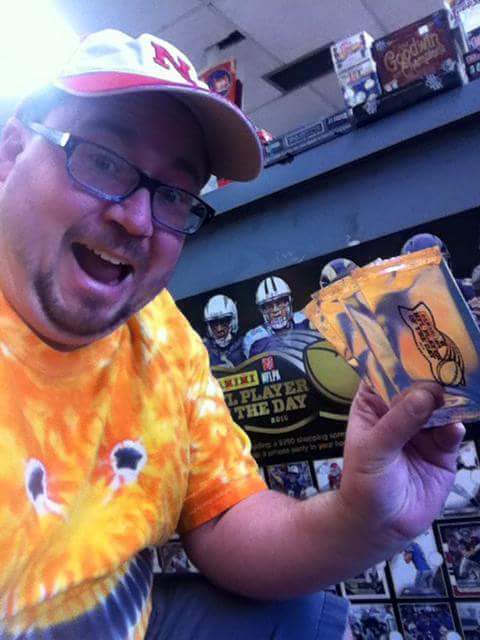 Go to your local participating Player Of The Day card shop. You can find your participating shop, HERE. Post that picture to my Facebook page wall, SCC POD Promo 2015. I will then share your picture to the wall for others to see and on this post as well. This post serves as your entry total post too! Winners will be announced on Nov 8TH 2015 on the Facebook page so make sure you like that page to see if you were a winner. 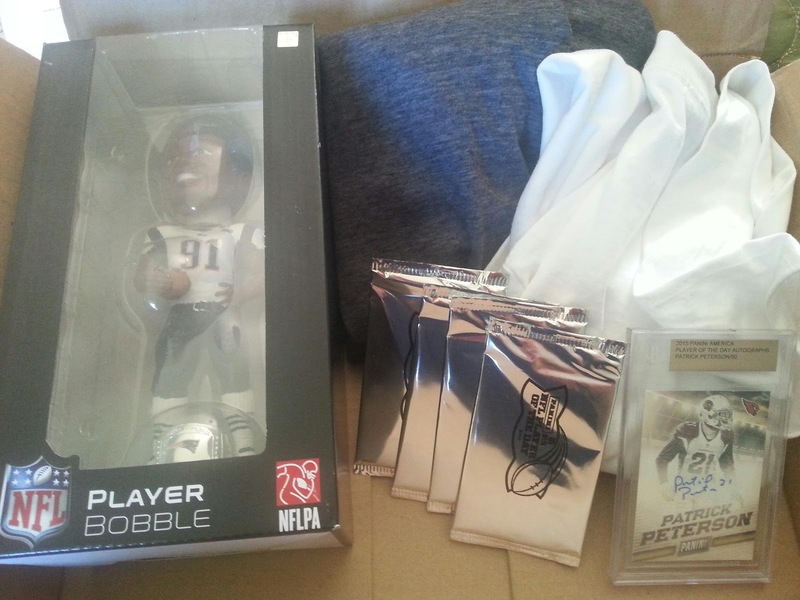 Here are the TOP THREE PRIZES to score. Good luck to everyone who enters between NOW and the NEW deadline!! EVERYONE WHO ENTERS THIS CONTEST WINS A PRIZE!!!!!!!!!! CONTEST! WIN Upper Deck Hockey Cards!!! 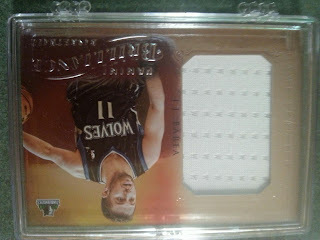 Patchtastic Strata Randle Mail Day! CONTEST! Win 2 Player Of The Day Packs! 3-Card Hit Lot, .99 Cents! 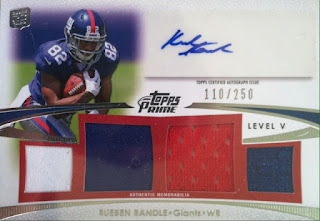 Gridiron Gem Of Rueben Randle! 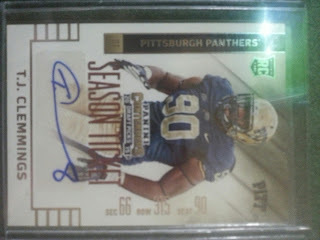 WIN This Garrett Grayson Jersey Card! TONS OF UPDATES:Contests, Blog And More! 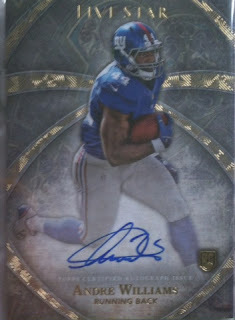 Reader's Mail Day Part 5 Of 7:GGGGGGGMen! 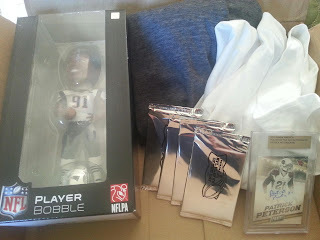 Giant PACKtastic Trade Mail Day!